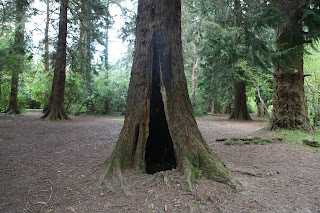 The Font of Knowledge: The woods today. Stopping by Woods. 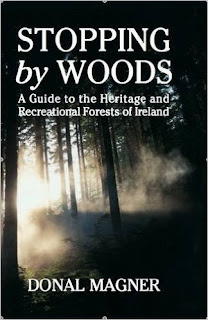 A Guide to the Forests and Woodlands of Ireland. Donal Magner. I borrowed this book in the RDS and decided to order a copy for my son Richard. The book is not intended for reading and is more a reference source for those who are enquiring about our forests and major woodlands and who may wish to visit them. It is divided into 32 short chapters dealing with each county in Ireland in alphabetical order. Maps are provided for each county and there are numerous short maplets of many forests with numbers marking points of special interest. The contents pages list each woodland and forest according to county. It would require most of a lifetime to visit all the areas included in the text. The preface provides information about all our important trees, divided into native broadleaves and conifers, European natural broadleaves and conifers, and exotic trees outside Europe. A design of each of these trees with their characteristic leaf and fruit is provided. 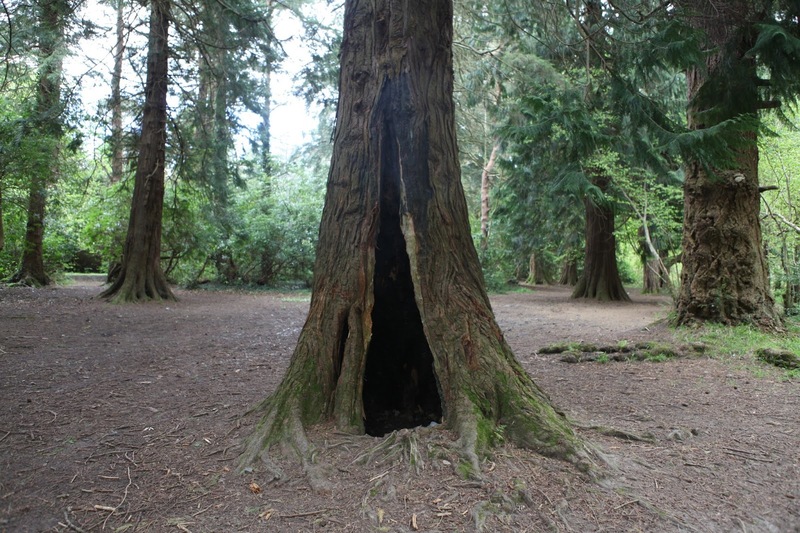 The author also provides a note on the recent revolution in forestry which has occurred in Ireland. This is primarily a reference book and should be in every library access to all of us interested in our native silviculture. For the tree alickadoo it would be useful in his or her library and for the forester and those with a keen interest in our woodlands it might be needed in the car. When I first went through the book I took the opportunity to congratulate the author – I had known him well when I was a member of the Irish Timber Growers Association. I added a note about the paucity of ivy in his many photos and I sent him a copy of For Love of Trees with the 2012 rider. I have been looking through your Stopping by Woods with great interest and I felt I should write to you to congratulate you on such a valuable addition to my library. It is a long time since I was active in the ITGA but my interest in trees continues and has been passed on to my son Richard who has planted 140 acres of trees (of which 20% are hardwood) at Kilmichael on the borders of Wicklow and Wexford. He has also taken over my 30 acres of Sitka and Japanese Larch in Johnstown in West Wicklow. I expect I sent you a copy of the enclosed monograph on ivy some years ago. I was interested to find that none of your trees had ivy apart from on ash on p.354 and a beech on p358. You were of course dealing largely with woodlands and forests where ivy is much less evident. But it is widespread in our hedges of hawthorn and hedgerow trees and in small woodlands, and has received little attention from farmers and landowners. I am sending you a copy of the original book and a rider I added last month to bring the subject up to date. I apologise for intruding on your valuable time but you must understand that in retirement over 24 years I have little else to do than interfere into the lives of others.